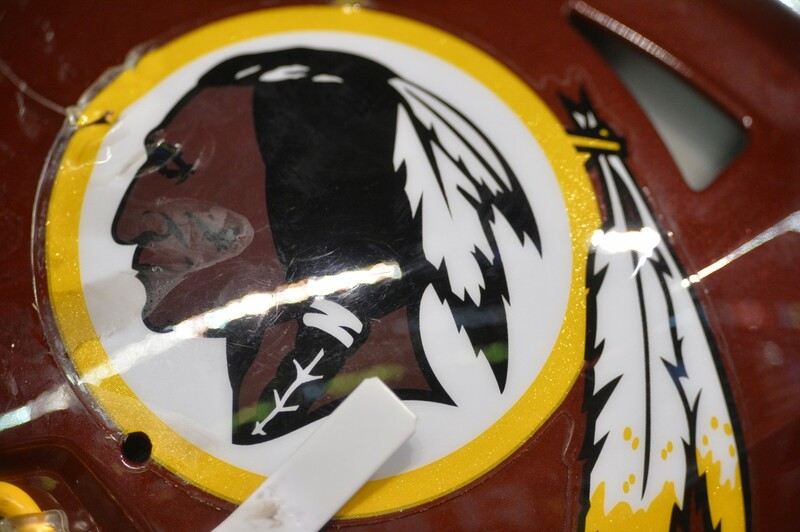 Out with ‘Redskins’ — and everything else! Connecticut’s state Democratic Party has leapt into the vanguard of this movement, vowing to sin no more: Never again will it have a Jefferson-Jackson Day dinner. Connecticut Democrats shall still dine to celebrate their party’s pedigree but shall not sully the occasions by mentioning the names of two slave owners. Because Jefferson-Jackson Day dinners have long been liturgical events for Democrats nationwide, now begins an entertaining scramble by states’ parties — Georgia’s, Missouri’s, Iowa’s, New Hampshire’s, and Maine’s already have taken penitential actions — to escape guilt by association with the third and seventh presidents. The Post should join this campaign for sanitized names, thus purging the present of disquieting references to the past. The newspaper bears the name of the nation’s capital, which is named for a slave owner who also was — trigger warning — a tobacco farmer. Washington, D.C., needs a new name. Perhaps Eleanor Roosevelt, D.C. She had nothing to do with her husband’s World War II internment of 117,000 persons of Japanese descent, two-thirds of whom were native-born American citizens. Hundreds of towns, counties, parks, schools, etc., are named for Washington. The name of Washington and Lee University is no mere micro-aggression, it is compounded hate speech: Robert E. Lee probably saluted the Confederate flag. Speaking of which: During the Senate debate on the 1964 Civil Rights Act, when Virginia’s Willis Robertson waved a small Confederate flag on the Senate floor, Minnesota’s Hubert Humphrey, liberal hero and architect of the legislation, called this flag a symbol of “bravery and courage and conviction.” So, the University of Minnesota should seek a less tainted name for its Humphrey School of Public Affairs. Princeton University can make amends for its Woodrow Wilson School, named after the native Virginian who aggressively resegregated the federal workforce. Conservatives do not have feelings, but they are truculent, so perhaps a better idea comes from Joseph Knippenberg, who is an American rarity — a professor with good sense and a sense of humor. He suggests that, in order to spare everyone discomfort, cities, buildings and other things should be given names that are inoffensive because they have no meaning whatsoever. Give things perfectly vacuous names like those given to car models — Acura, Elantra and Sentra. Unfortunately, Knippenberg teaches at Atlanta’s Oglethorpe University, which is named for James Oglethorpe, who founded the colony that became the slave state of Georgia. So, let us move on. To Massachusetts and Minnesota, which should furl their flags. Massachusetts’ flag shows a Native American holding a bow and arrow, a weapon that reinforces a hurtful stereotype of Native Americans as less than perfectly peaceful. A gimlet-eyed professor in Wisconsin has noticed that Minnesota’s flag includes the state seal, which depicts two figures, a pioneer tilling a field, and a Native American riding away — and carrying a spear. A weapon. Yikes. The farmer is white and industrious; the Native America is nomadic. So, Minnesota’s seal communicates a subliminal slander, a coded message of white superiority. Who knew that Minnesotans, who have voted Democratic in 10 consecutive presidential elections since 1972, are so insensitive? This is liberalism’s dilemma: There are so many things to be offended by, and so little time to agonize about each.